Xbox One X now available. *Online multiplayer requires Xbox Live Gold (sold separately). Limited number of games available in 2017 support cross-device play; additional games to follow. Active Xbox Live Gold membership required to play free games. Experience stunning gaming power with the Scorpio Engine. Six TFLOPS, 326 GB/s of memory bandwidth and a custom silicon design put it ahead of the pack. The Vapor Chamber is a real innovation in home consoles, using high-grade liquid cooling to keep the Scorpio Engine running beautifully. 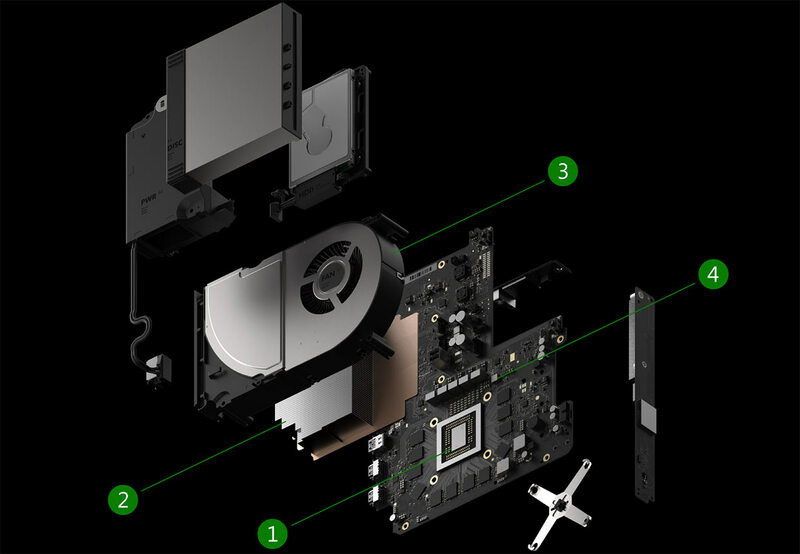 Xbox One X's supercharger-style Centrifugal Fan gives you all-out cooling - quietly. It pulls in air and compresses it rapidly to keep the console performing at its peak. Get premium console performance with minimal power consumption with the Hovis Method. Xbox One X features this groundbreaking digital power delivery system for customized voltage.